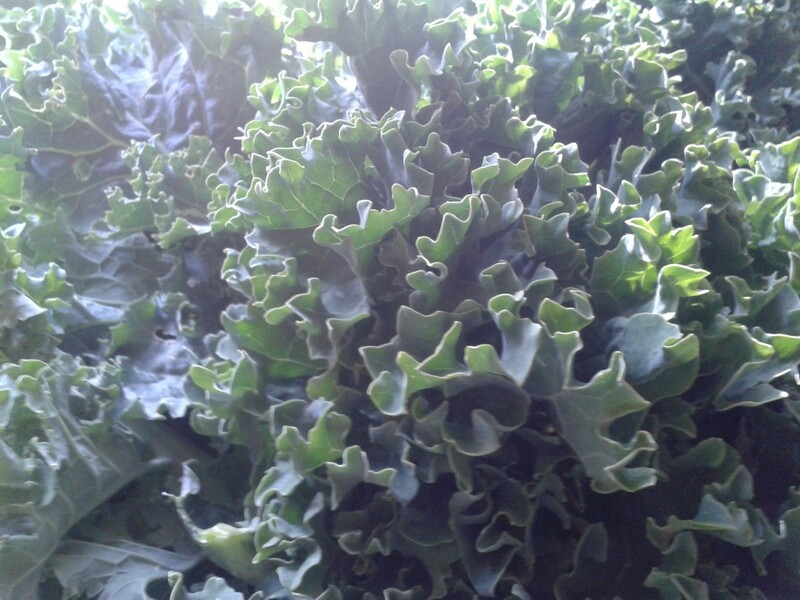 This season we planted a lot of kale seeds and have ended up with what we affectionately call the ‘kale forest’. 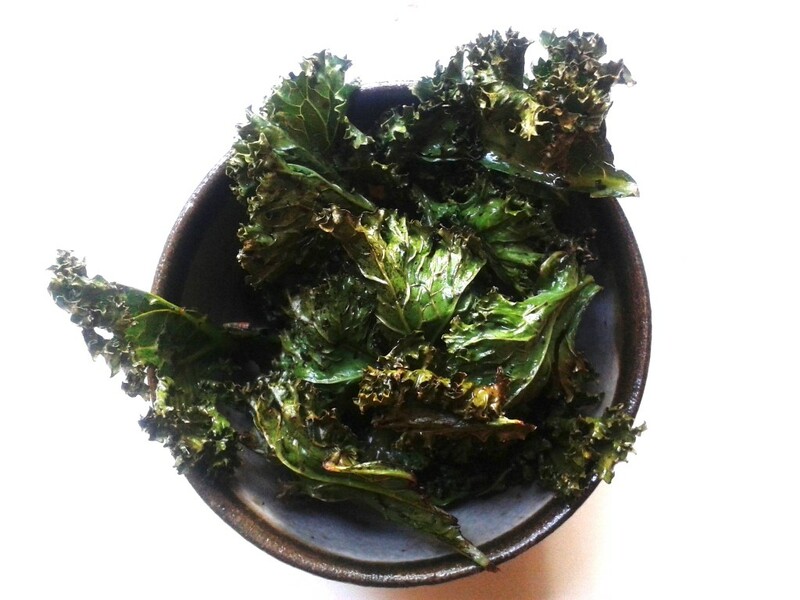 However, as we all know, there is only so much steamed kale you can eat, so lately we’ve been branching out and making kale chips which are actually really good. Without even trying you can end up eating anywhere between 5 – 10 leaves and that’s gotta be good for you! Step 1: Harvest your leaves and give them a good wash. Right now we’ve got lots of aphids hiding on the backs of the leaves so I put them in a sink full of water and wash them roughly with my hands, as I really don’t like the idea of roast aphids. Step 3: Cut the leaf into bite size pieces. Step 4: Pop them in a large bowl and drizzle olive oil over them (or any desired oil) and massage the leaves thoroughly until they sparkle with an oily shine. Step 5: In the same bowl add some additional flavours. We simply pour some tamari (fermented soy) over the top of them and mix it in. You could also just use salt, assorted spices or smashed up garlic juice (yummm). 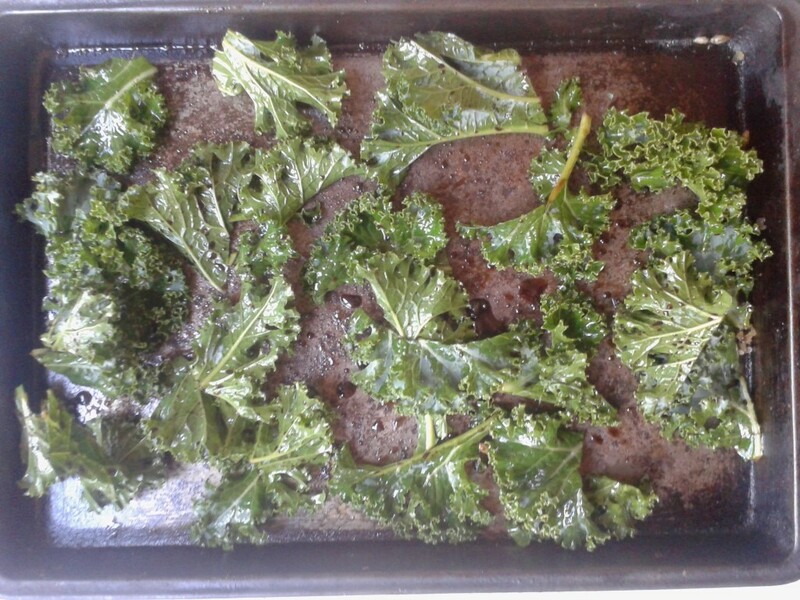 Step 6: Spread the leafy chips evenly onto a baking tray. Make sure you don’t pile them on top of one another as this prevents them from going crispy in the oven. 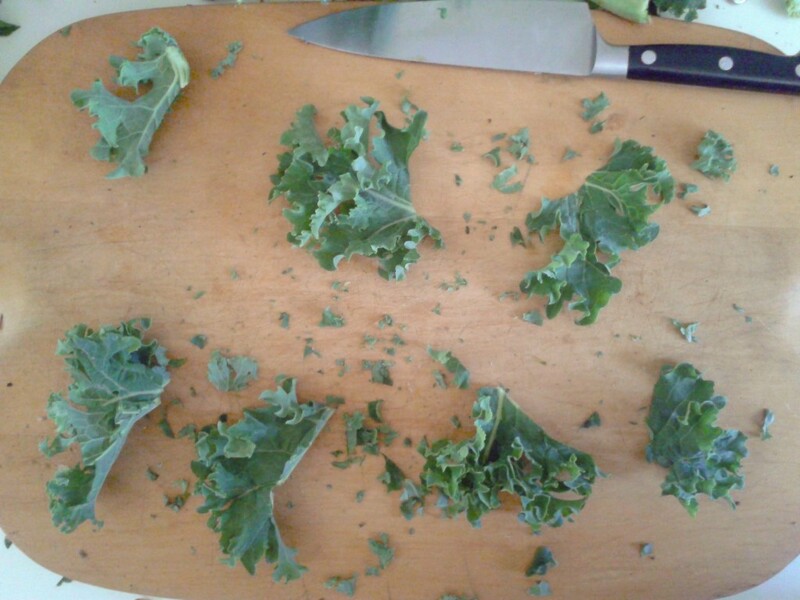 Make sure you space the kale pieces out so they’re not crowding each other, this ensures you get lots of crispy edges, which is a good thing. Step 7: Put them into a hot oven (around 200 degrees) and then DO NOT LEAVE THE KITCHEN. Do not go feed the chooks, make a phone call or check on your garden. 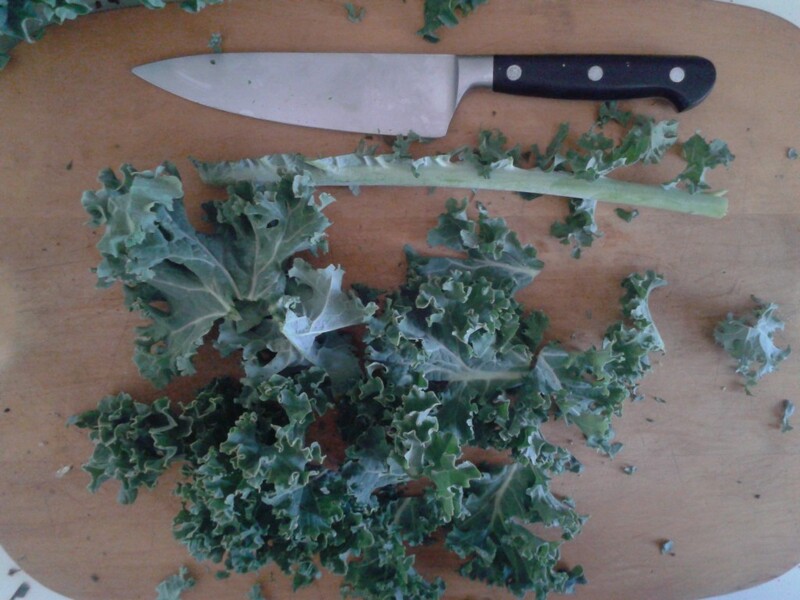 If you do any of these things your kale chips will burn, I speak from personal experience. These little beauties only need around 5-10 minutes. Check at 5 minutes and then every minute after that. They’re ready once their edges have gone a nice brown and when you touch them, they’ll feel ‘crispy’. PS – They taste better when shared with friends and some home brew. 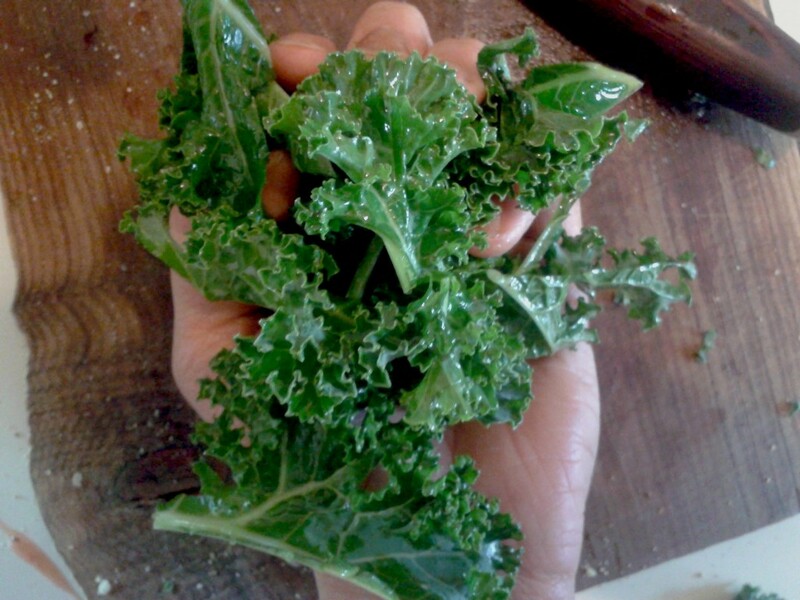 Hi, I don’t know if anyone will see this comment, since it’s a few years later than the post, but I’ve been wondering if the kale chips are awesome enough to warrant the amount of energy used to make them. Maybe if you’re cooking something else as well perhaps, but I’d feel a bit wasteful turning on the oven just for a few handfuls of leaves. 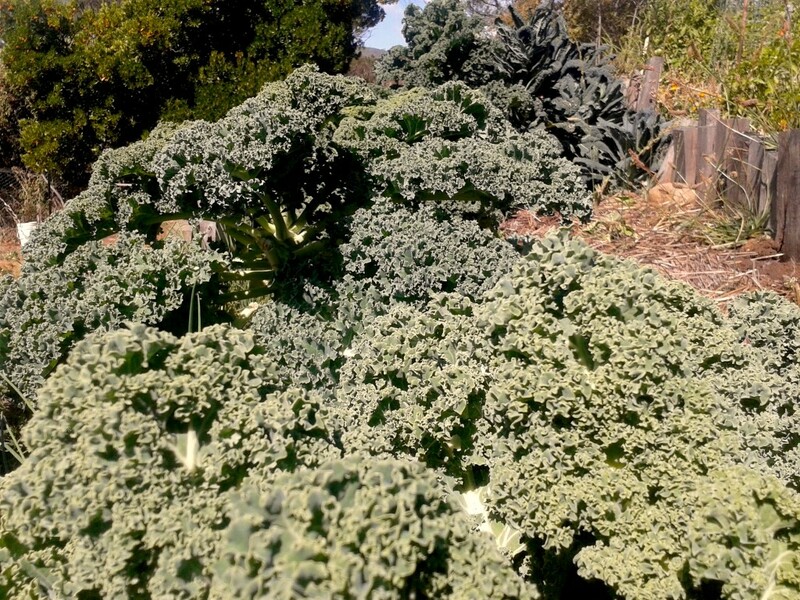 Awesome enough to do it if you have looooooooots of kale and you’re making enough to feed multiple households perhaps :-). Otherwise it’s very easy to make them when you’re making something else.